If a job's worth doing, it's worth doing well! The service I have received from Alvis has been second to none. The personal touch and attention to detail is outstanding. Ian’s attention to detail is tremendous and unfailing. The service of speed, experience, advice, quality and delivery was absolutely fantastic. Welcome to Alvis Printing! Your friendly, local printer! Based in Altrincham, we’re commercial printers who recognize that you don’t purchase print for pleasure; you want it to do a job: to promote your business, aid in the running of your operations, or to meet legal requirements… and for any job to be done properly the tools have to be fit for purpose and available to hand when needed. 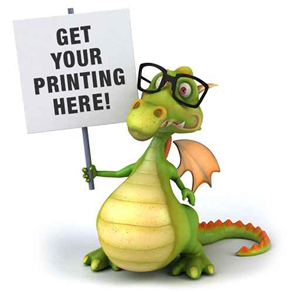 Some people view printing as a necessary evil and are happy to source the cheapest online prices. But others recognise the importance of a first impression made by a company business card or brochure; or the value of having internal documents that are accurate and available on demand; and a family might want to say their last goodbyes to a loved relative with a special, bespoke funeral order of service. At Alvis Printing Services we work with our customers to explore the options and achieve what’s best for them. We spend the time and put in the effort because we care about our customers, we care about their businesses, and we care about their success.